Mulch acts like a fresh canvas for landscape beds. It creates an attractive background that accents plants and flowers—and more importantly, mulch preserves plant health. 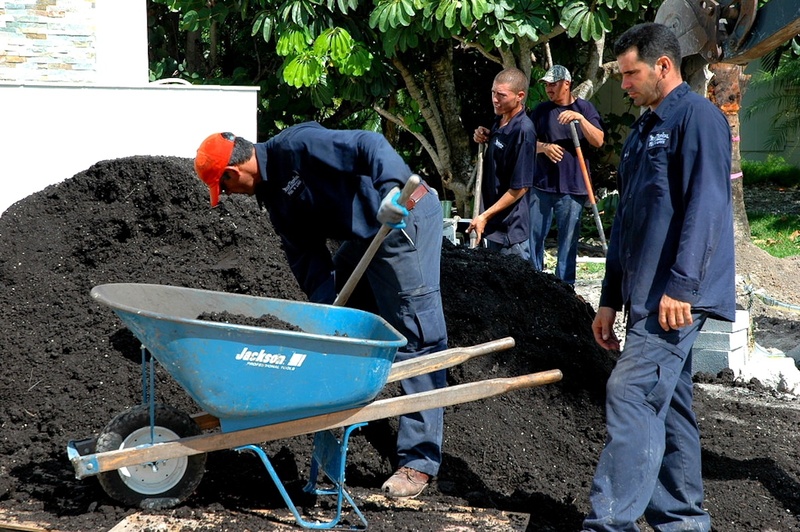 Mulch helps soil retain moisture and nutrients, and it regulates soil temperature. We recommend applying fresh mulch to your landscape beds at least annually. Overgrown trees and shrubs can encroach on walkways and block stunning views. When plants grow too close against a home, they can unintentionally introduce pests to the structure. Also, plants must weather strong winds and tropical storm conditions in South Florida, which was especially the case this fall. Address overgrowth and storm damage now so your plants are in a position to establish new, healthy growth. Proper pruning assures safety, improves plant health and enhances the appearance of your landscape. Refresh your South Florida property with colorful annuals, or with perennials that will return every season (just as you do). 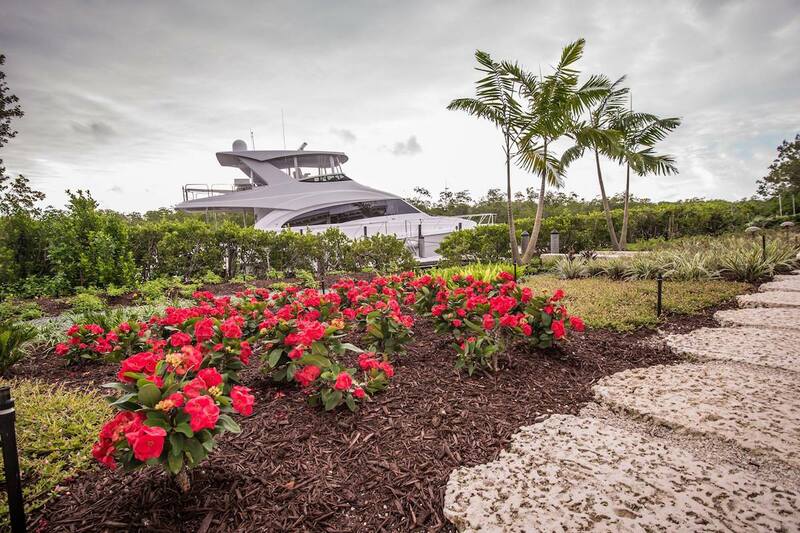 At Reef Tropical, we take care to install flowers that are in bloom when you can enjoy them—during winter while you’re spending time on your South Florida property. (It doesn’t do a whole lot of good to have plants that flower in summer if you won’t be here to appreciate them!) Because of our tropical climate, there are a range of vibrant, colorful flowers that produce blooms year-round here. An experienced landscape firm can suggest the best flowers for your property based on your taste, the architecture and existing outdoor living design. Pruning palm tree fronds and coconuts (before they fall and cause damage!) 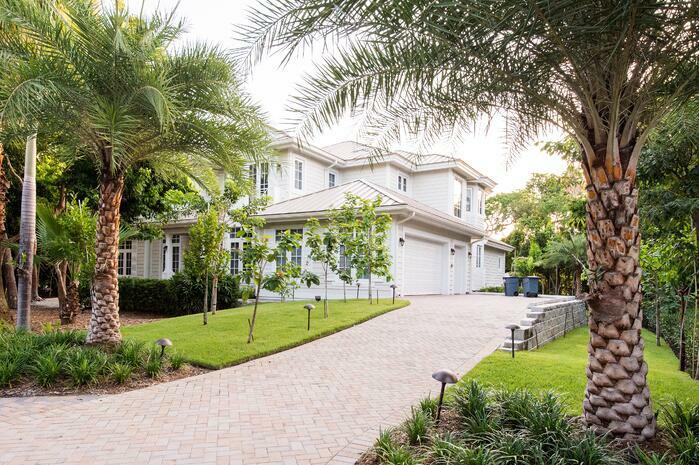 is important for not only general maintenance—but for improving the appearance of your South Florida landscape. Palm trees can create a mess by your pool and outdoor living spaces without proper care. While we recommend year-round landscape maintenance to keep your property looking its best even when you are not in South Florida to enjoy it—you’ll want to be sure that palm trees are tended to before you move in for the holidays and upcoming winter. That way, you can spend your time soaking in the sun rather than picking up after your palm trees. Your pool and spa are the centerpiece of your outdoor living room. What truly makes this space a luxurious, resort-like environment is not just the pool structure—but also the landscape features that surround it. That’s why it is worthwhile to invest in plants that not only add color and texture, but create an artistic touch when you can view them in your pool’s reflection. Beyond plants, landscaping for the pool area can include outdoor grilling stations, dining spaces, cocktail areas and covered seating that provides shade from the Florida sun. Prepare your South Florida property’s landscape before you arrive by enlisting in an experienced landscape company like Reef Tropical that you can trust to care for your grounds while you’re away. We’ll get you in shape for winter so when you arrive, you can enjoy all that your South Florida home has to offer. Let’s talk more about maintaining and enhancing your outdoor paradise. Call us any time at 305-367-2005, or fill out this simple contact form and we’ll get in touch with you.